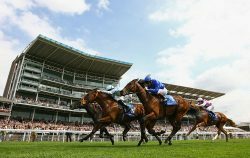 Our annual race day at York in May has proved more and more popular with our members. This is a unique chance to enjoy a VIP day out at hugely reduced costs and you might even pick a winner or two, too. 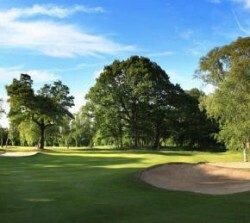 The SJA also stages one Golf Day each year, using quality golf courses in the London area. These popular social events are open to all, not just SJA members, and we welcome all standards of players, even complete novices and, as you might expect from a journalists’ golf day, complete golfing hacks. The emphasis of the event is an informal day out with colleagues and friends, old and new. In 2019 our annual Golf Day will be staged at leafy Muswell Hill, one of suburban London’s finest and best tended courses. Information is here on the site. Founded in 1893, Muswell Hill Golf Club is a par 71, 6,100-yard parkland course and a great test of golf. The tree-lined, undulating fairways and outstanding greens was a pleasure to play and the final stretch probably one of the toughest finishes among golf courses in London. At our Golf Days, the main competition among the members is for the SJA’s Phil Sheldon Trophy, named in honour of the late golf photographer who was also a popular member of the north London club. The cost per day per head includes an 18-hole round of golf (usually playing in three-ball groups), a two-course late lunch, trophies and prizes, and usually involves a subsidised rate for SJA members. Details of how to book your place on our Golf Days and any other SJA social events will usually be posted on the website and sent to SJA members via our mail newsletters.